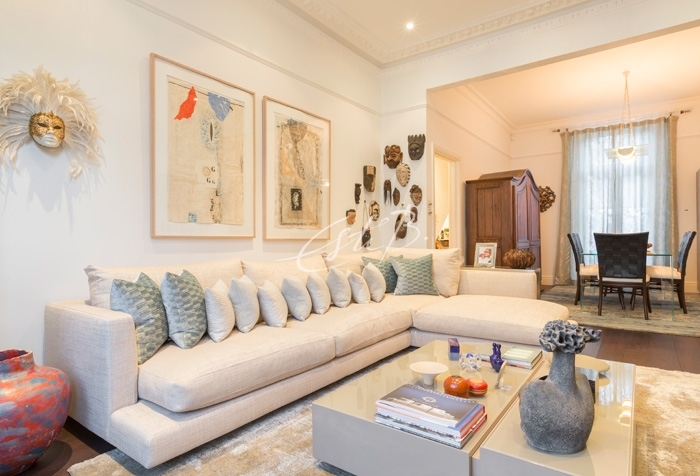 ‘I would describe my home as an eclectic mix of contemporary, tribal, old and new. 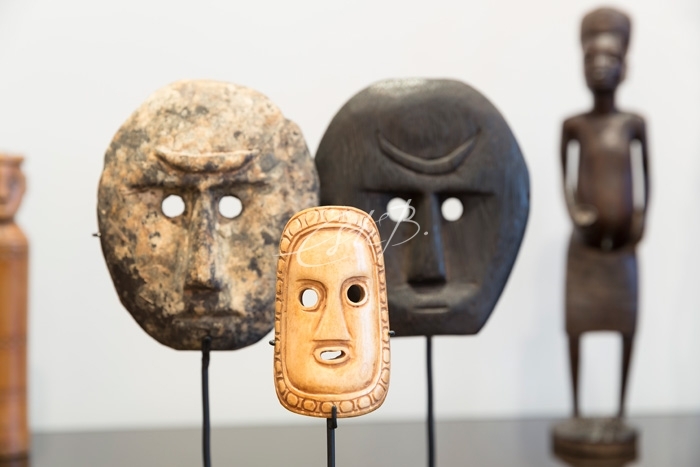 I like primitive objects, especially masks, which I’ve been collecting for many years now. They come from many different countries – Gabon, Nepal, Bali, Ethiopia, Kenya, Italy and Switzerland. 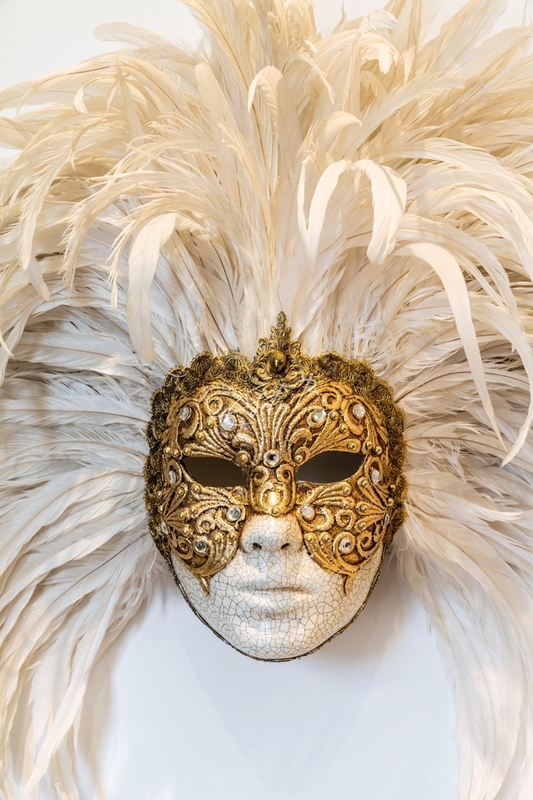 They range from ornate Venetian designs to simple, carved-wood tribal masks. There are even replicas of Neanderthal men, with their long hair. 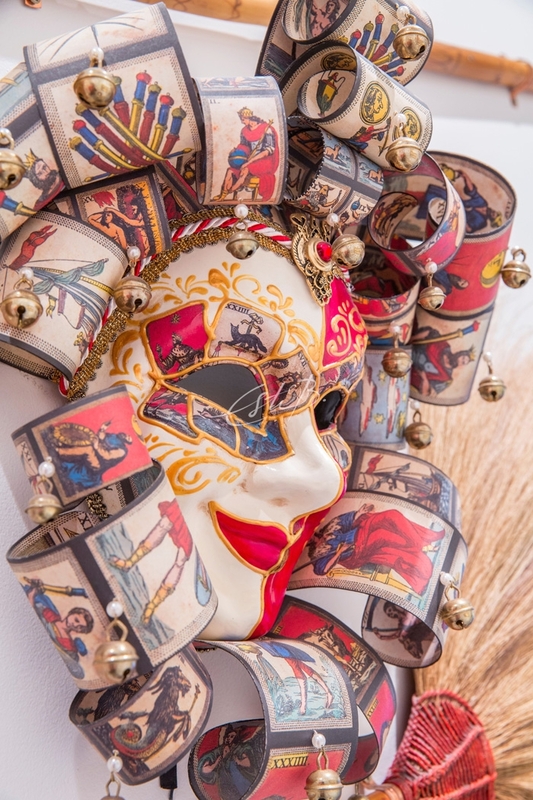 ‘For me, the masks’ expressions and the materials they are made from give them personalities. There are some that are made from resin or paper, some that are embellished with feathers or bells. Others have hair, teeth, textiles, jewellery… The craftsmanship that has gone into their creation makes them as diverse and unique as real people. If my husband, Russell, liked them as much as I do, there wouldn’t be a spare centimetre of empty wall! ‘As well as the masks, I have other keepsakes and collectables dotted around the house that I love. 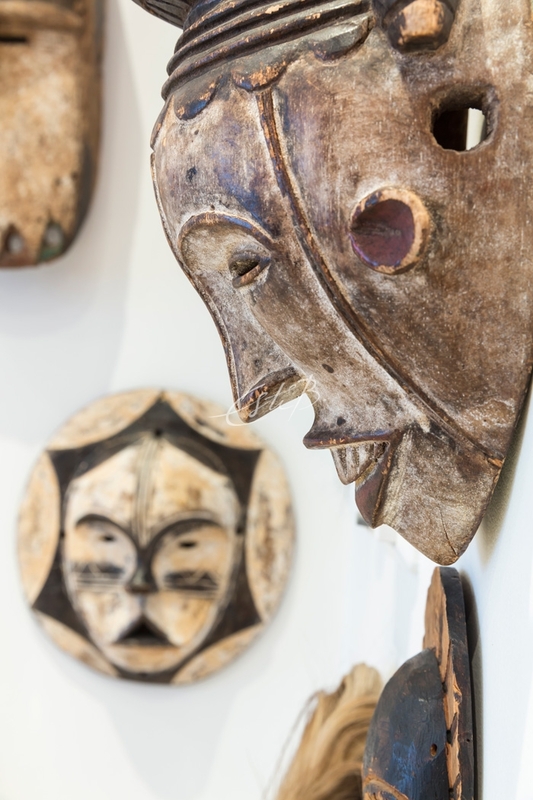 They include African figurines, Chinese brushes, snuff boxes, Tiffany lamps and pieces of pottery, both old and new. 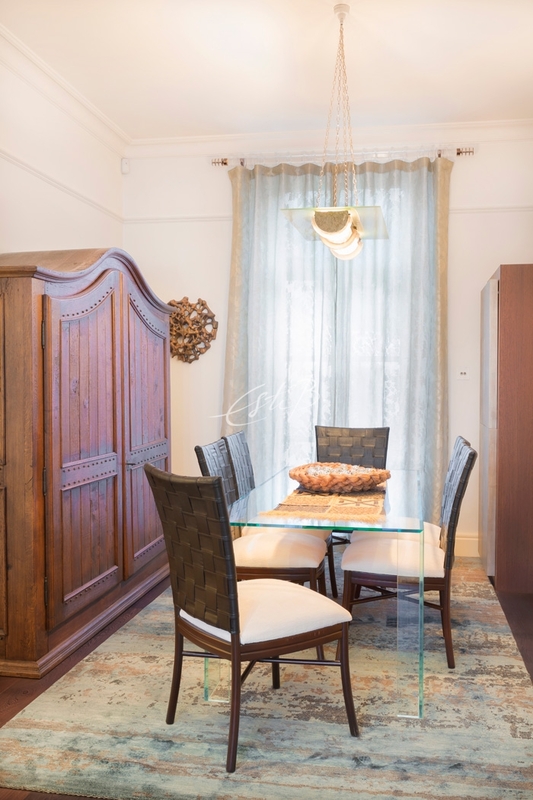 ‘Another prized possession is the recycled-oak Turkish armoire in the dining area. It travelled with me from Istanbul and has moved with us into the various properties we’ve lived in in the UK. It is huge, but luckily it dismantles so cleverly that we’ve had no problem carting it around with us like a suitcase. ‘The other items in the house that I couldn’t be without are the pieces of art I’ve acquired over the years. When I was living in Istanbul I collected Turkish art, most of which is by my professors and friends from art school. 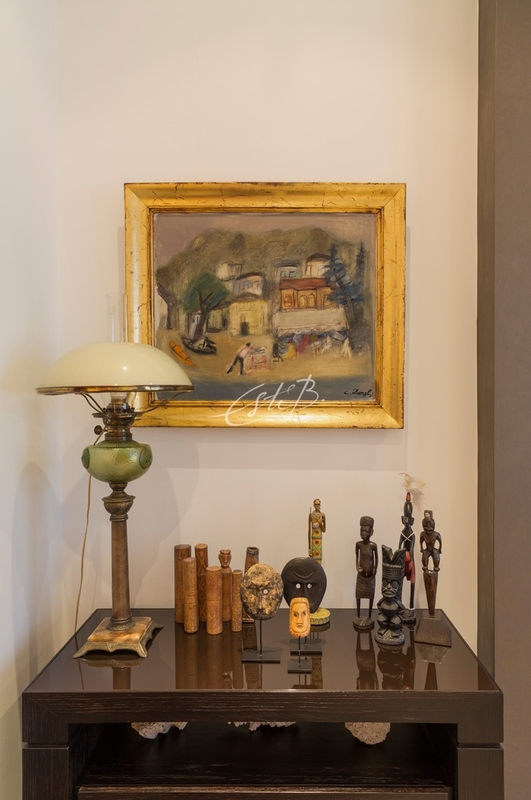 I’m especially proud to own a piece by the renowned 20th-century Turkish painter Cevat Dereli. I’ve got works by French, Dutch, Hungarian and Icelandic artists too. I now collect art at galleries, art fairs and exhibitions in London like ArtLondon.com, and objects from Collect, the contemporary art fair that I wouldn’t miss for the world. 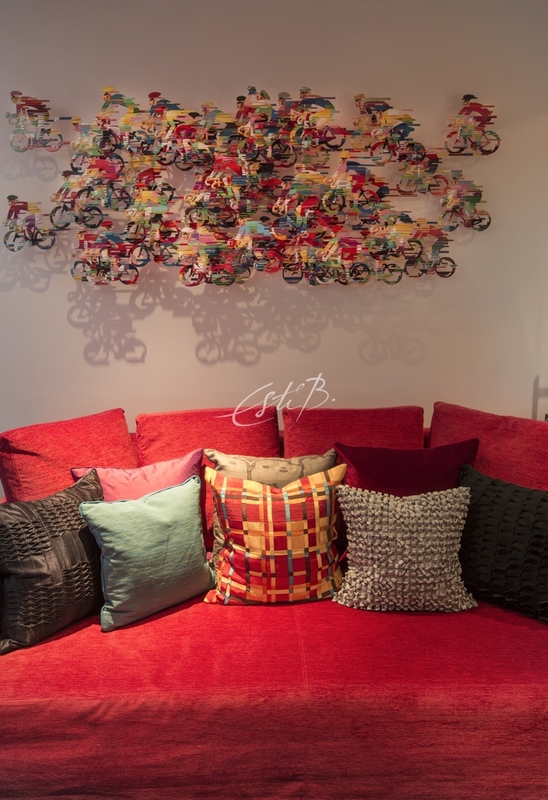 ‘Among the pieces that are special to me are “Peloton” by David Gerstein in our gym/cinema room and a still life by the Dutch painter Tom Verhoeven above the fireplace in the living room. 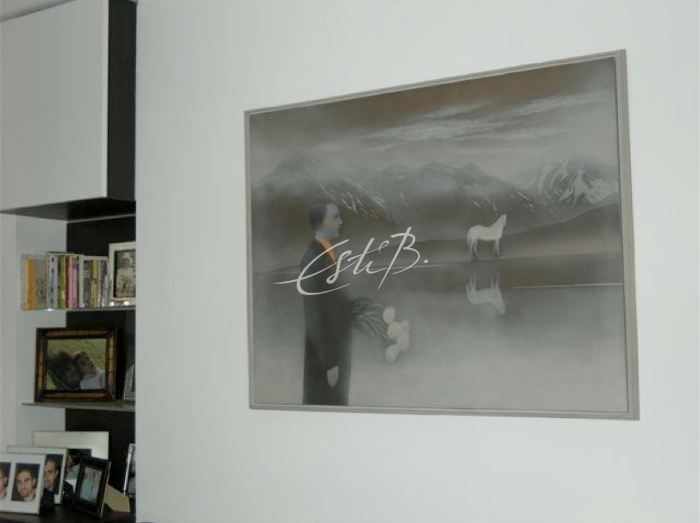 ‘I have three all-time favourites: the horse painting in the study, which is by Balkan Naci Islimyeli [below]; an abstract painting by Husamettin Kocan, which is in the dining room; and a painting by Ismet Dogan [above the collectible objects] which has Arabic script and was the foundation of my passion for calligraphy – a passion that resulted in my SCRIPT collection. I chose all these works because they ‘talked’ to me, and when they did, I was smitten – I knew I didn’t want to part with them, so they came home with me. The only place we don’t have any art is our beautiful garden oasis. 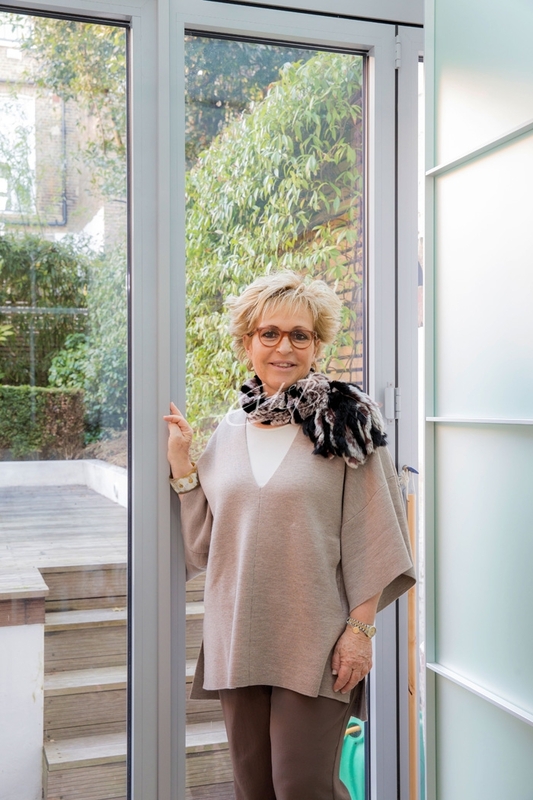 ‘I chose to furnish my home with lots of beautiful Brazilian pieces by Sylvia Nayla in Notting Hill and some classic Italian pieces such as my Flexform sofa and a Glas Italia dining table. The table was so fragile and had suffered damage in transit. We only discovered that, of course, after we had removed our sash window and manoeuvred it into place. We’re now dining off table number two. Originality runs through the heart of Topfloor’s creative process. Founder and Design Director, Esti Barnes, is one of the pioneers of using lace-like decoupage in high-end rugs. Historically, rug design has been a relatively two-dimensional medium. 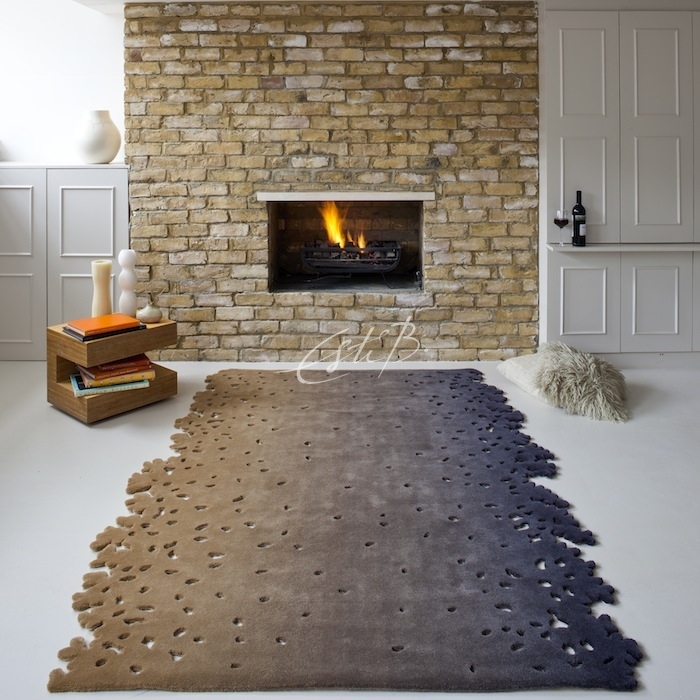 However, when it came to creating the beautiful ‘Ethereal’ rug, Esti broke through this barrier and introduced stylised floral cutouts that are placed delicately around the edge of the rug. 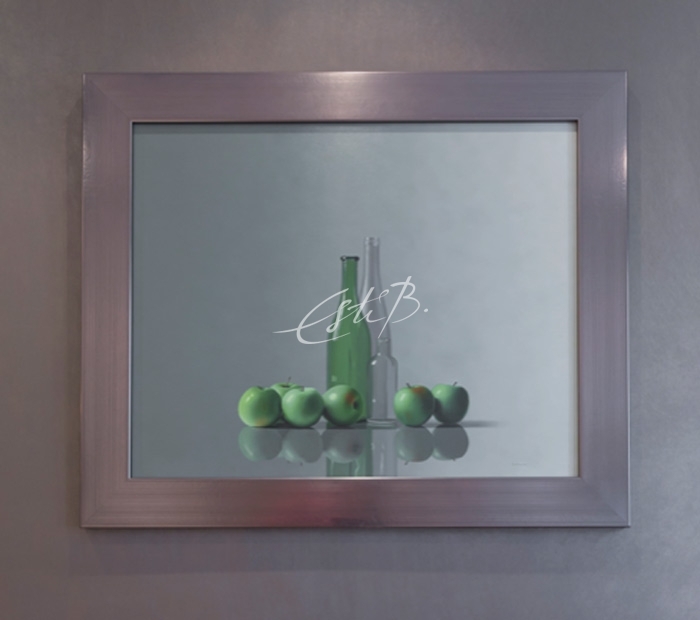 As seen in one of Esti’s sketches from the early stages of her creative process, the cutout areas can be bespoke designed to the interior’s theme or purpose. For this client, Esti used the fluid form of the concept to perfectly complement the context of the rug. 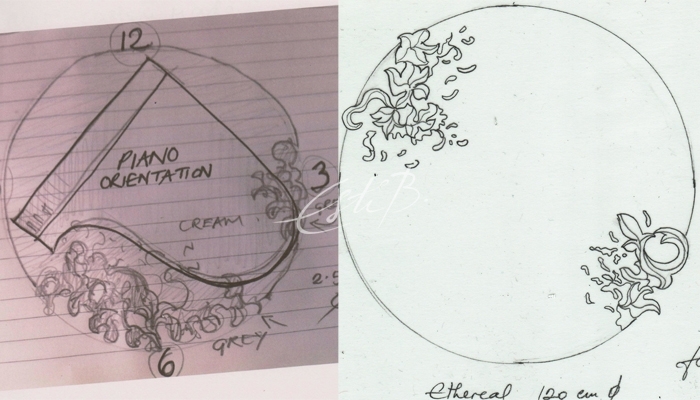 Having used this unusual but stylish technique, with ‘Ethereal’, Esti later took it one step further with the more elaborate design of ‘Emmenthal’. ‘Emmenthal’ is the product of a light-hearted approach to a familiar item. 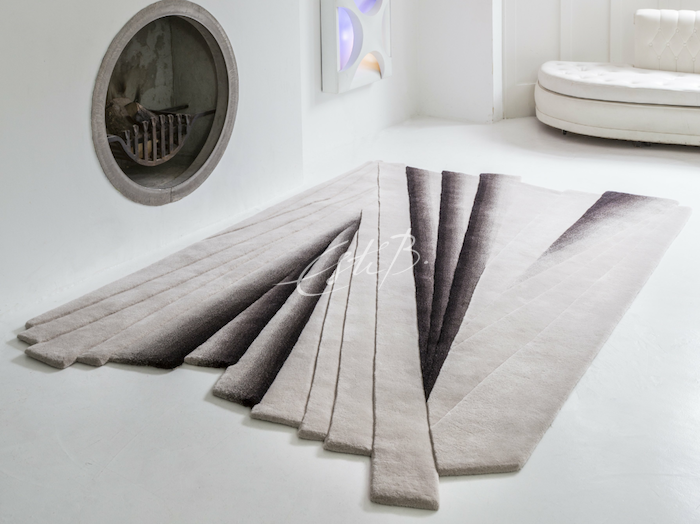 However, with the help of Esti’s creative eye and the expert manufacturer’s workmanship, the resulting rug was named ‘Best of the Year’ by Interior Design Magazine in 2010 in the USA. Not content with the two decoupage designs, Esti recently used this method in one of the new SCRIPT COLLECTION rugs – ‘Oh!Friend’. 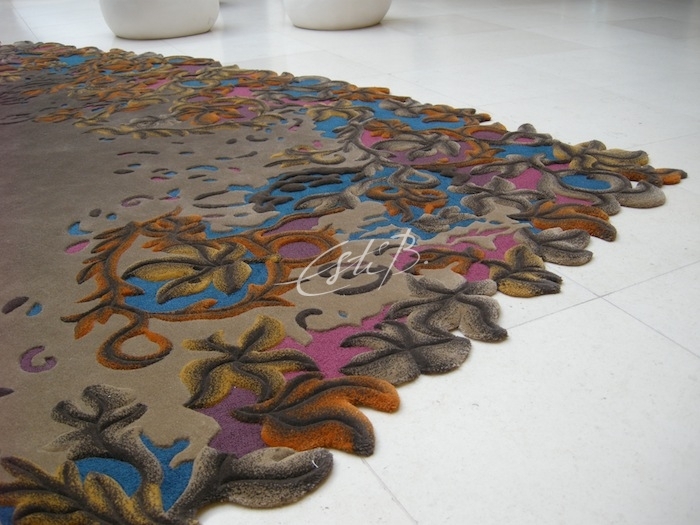 A creative evolution from the original concept, the ‘Oh!Friend’ rug features the decoupage detail as a centrepiece. Combined with the Moroccan blue gradient, this design presents a traditionally opulent theme. 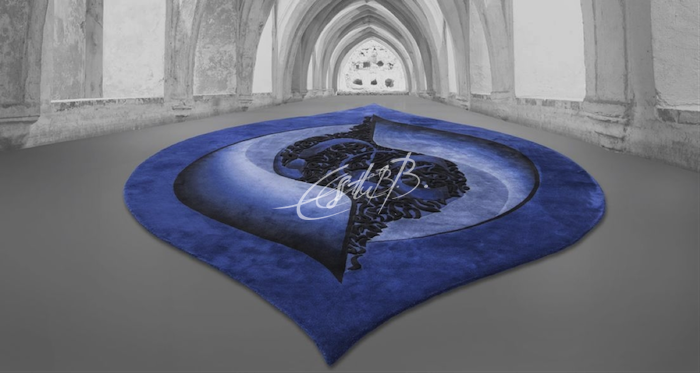 ‘In SCRIPT, I wanted to combine Hassan Massoudy’s contemporary style with one of my signature styles and therefore, I found it appropriate to have holes in between the detailed calligraphic writing, as well as to give the rug its unusual eye-shape.’ Esti says. Known for their precise and high-quality approach to manufacture, all of Topfloor’s decoupage rugs are hand-cut, rather than produced by using lasers. 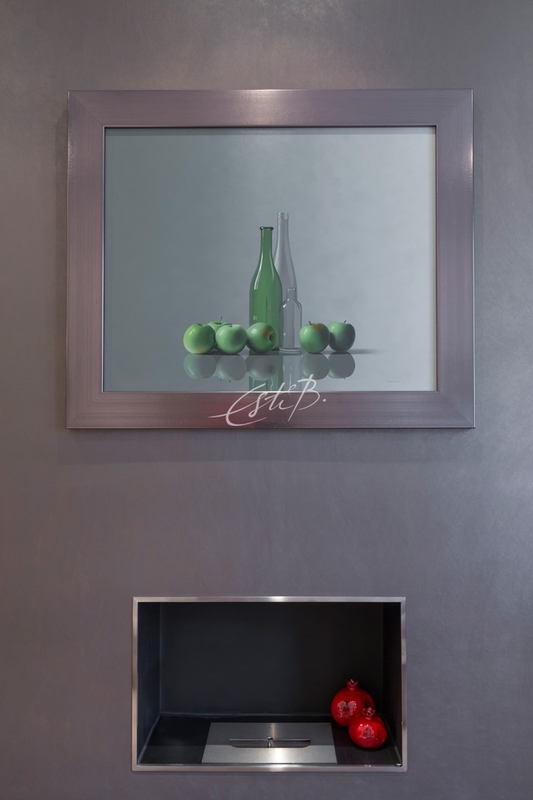 This way, the fine finish achieved through this artisanal process is much more appropriate in a 100% hand-made product. 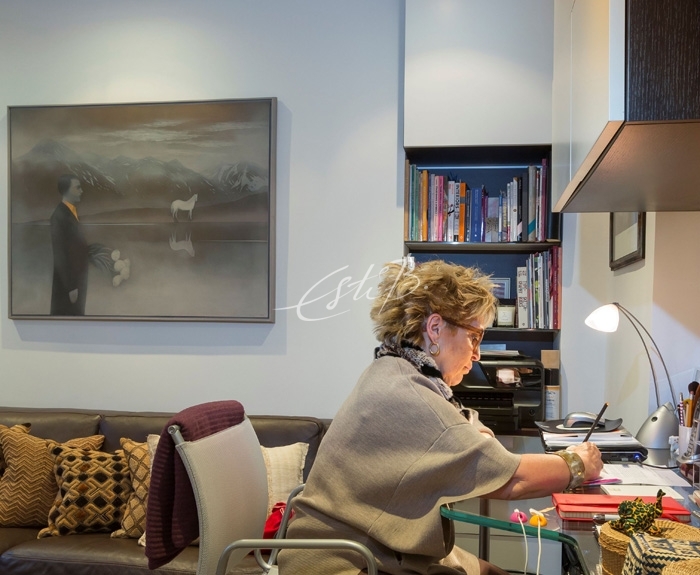 As seen in the SCRIPT and CARESS Collections, Esti loves using colour to dramatically change the look of her designs. In the case of the Ethereal rug above, the beautiful, bold shades enhance the decoupage detailing. Incorporating a range of hues into any interior scheme makes the rug an enchanting focal point, however sometimes a more neutral colour palette offers an even more elegant solution. This cream colouring of the Ethereal rug highlights the intricacy of the decoupage design, much like the stunning lace on a wedding dress. Boasting a more linear aesthetic, the Harlow rug, from the Jazz Age collection, combines clean, architectural lines and cutout edging for a striking but sophisticated finish. 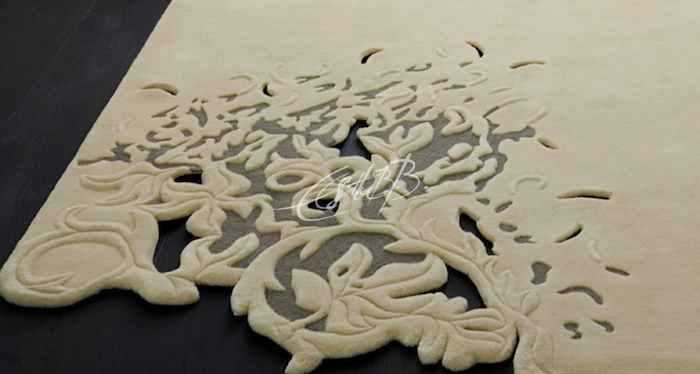 Esti’s creative vision and use of highly skilled craftsmanship has led to the perfection of her cutout rugs. Each new collection brings further development to this exciting concept. Try introducing one of Esti’s decoupage rugs to give interest and pizzazz to your room.